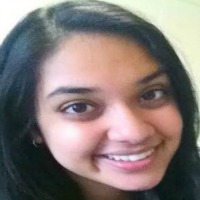 Devika Gupta is a Senior at Lehigh University majoring in Biology and minoring in the HMS program. She plans on taking a year off after graduation before pursuing medical school. The HMS program has been a great way for her to not only take classes based on health, but also have opportunities to fund her clinical research in India this past summer. She was able to apply many of the concepts she learned in my Global Health Issues class with Professor Lasker last spring during her research abroad.